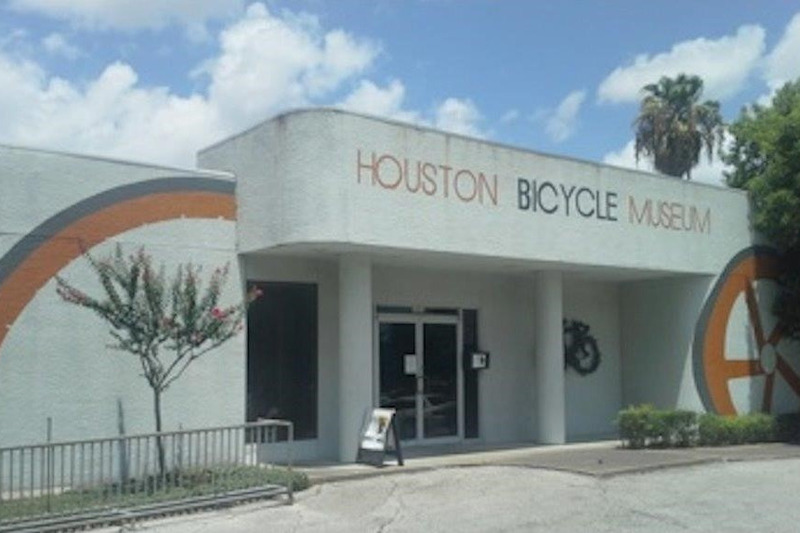 As of OCTOBER 31st, the Houston Bicycle Museum must vacate our home in the center of the Museum District, as it is being demolished for the Holocaust Museum of Houston expansion. Our current traffic has allowed us to make the previous rent ($1250/month), but our budget never anticipated the rents we are now finding. A smaller venue means we must put some of our exhibits in storage - yet another cost. The needed funds for the additional storage and move do not exist. As the only Texas bicycle museum, our sights are aimed at becoming America’s must-see bicycle museum. Houston Bicycle Museum displays bicycles and related memorabilia from 1895 to 2017, chronicling bicycle evolution to the most sophisticated of today. We provide a glimpse of how cycling has influenced peoples’ lives and the evolution of the bicycle. Currently, one can learn of cyclists who have set bicycle speed records, won races, created art inspired bicycles, and peer into an ordinary person’s life with their bicycle. Many types of bikes are exhibited and you probably will find the bicycle you coveted years ago. For the tech-minded, we have infinity variable gears, belt drive/shaft drives, and tools from throughout the years. Your donation is vital to operation and growth of the Houston Bicycle Museum. · moving costs: creation of new brochures, signage, etc. to support a new destination/location. Every person who crosses our doorstep; indirectly, contributes to our city’s history and culture. As of today, people from 26 countries have visited the museum. All your donations go directly to the Museum and will be used for the immediate need to move to another location. Costs related to the move, listed above, are the next tier of expenditures. The museum is operated and staffed by professionals and passionate cyclists, who view the museum as preserving the history of the bicycle for future generations. NOW – we must vacate by October 31, 2018. Your financial support is very much appreciated, NOW and in the future. Keep the wheels of the museum rolling!